Recipe Index Pages for All of My Books! 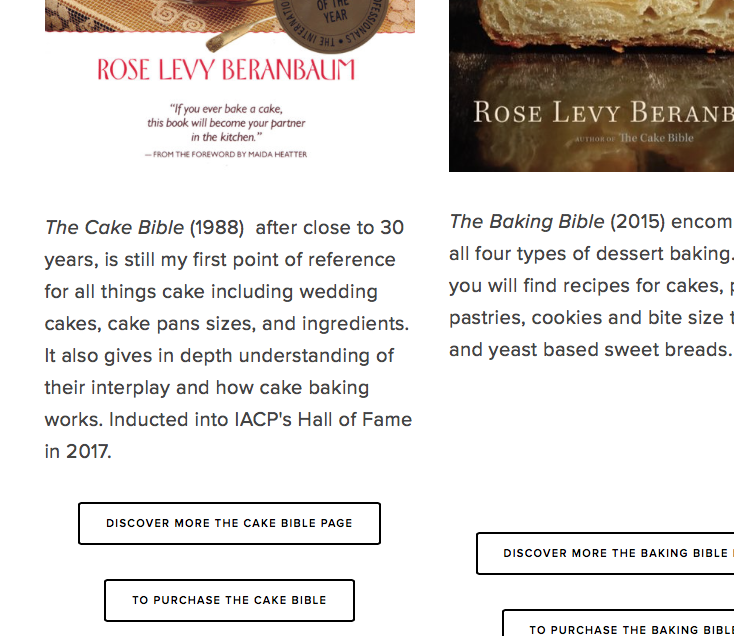 Woody has listed all of the main recipes for a given book as a linked page for each book's DIscover More page. 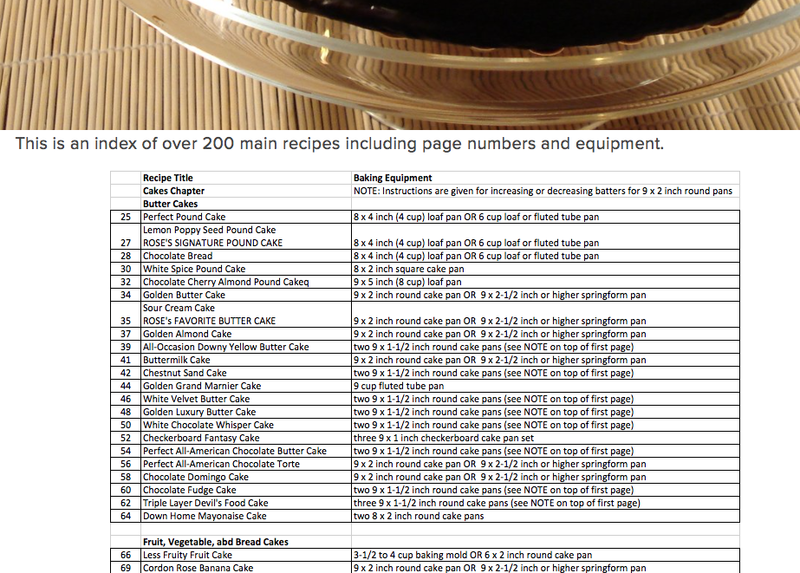 Each dedicated page will have a chart with the recipe's title and its page number. Additional information may include required equipment, description, or notes. You will find over 1000 main recipes with many more supporting and variation recipes in my books. To see the recipe index for a particular book. Ex: The Cake Bible on the photos below with corresponding Numbered Titles. 1. On Rose's Books page: Click on the DISCOVER MORE (book's title) page link button under that book. 2. On the book's page: scroll down and find the (book) RECIPE INDEX page link button.